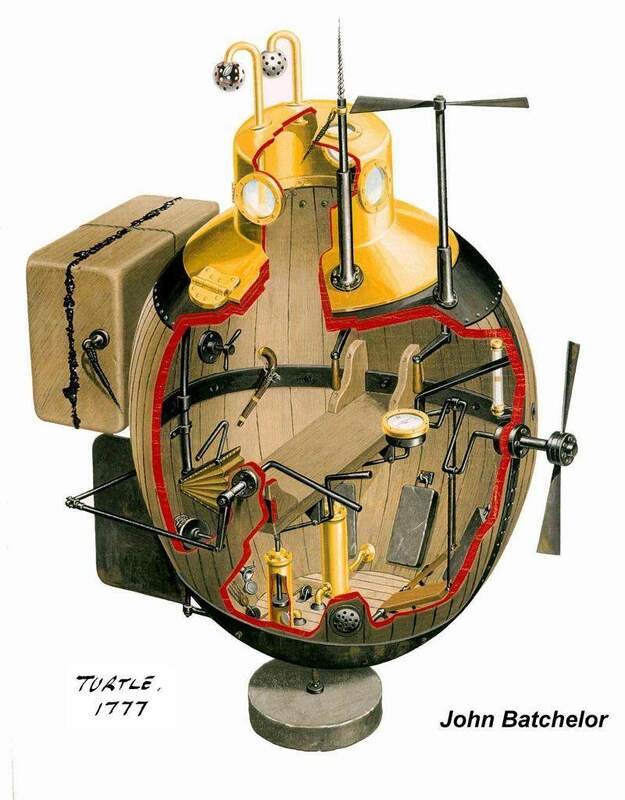 ↑This more recent drawing of American Turtle, is based on Bushnell's own written description, and is more accurate than the 1875 drawing by Lt. Barber. The most notable difference is the propeller; in Barber's drawing it is a helical screw, and here it is shown as a crude propeller. Also note that this drawing does not show ballast tanks. To submerge, the operator simply flooded water into the craft until it was negatively buoyant. This left the operator knee-deep in water. A hand pump was used to remove the water for returning to the surface. Image courtesy of NavSource. 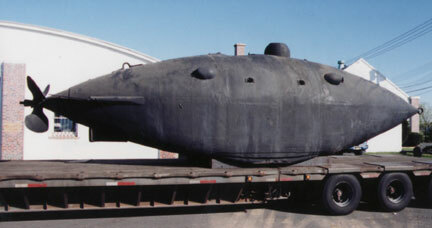 ↑Intelligent Whale , arrives in Sea Girt, April 1999. Image courtesy of NavSource.